Shogran is a village situated on a green plateau in the Kaghan Valley, northern Pakistan at a height of 7,749 feet or 2,362 metres above sea level. The village was affected by the earthquake of 2005 when some buildings were damaged. Shogran is only 10 km from Kiwai village and 34 km from Balakot. The road from Islamabad to Kiwai is metalled and measures 212 km. 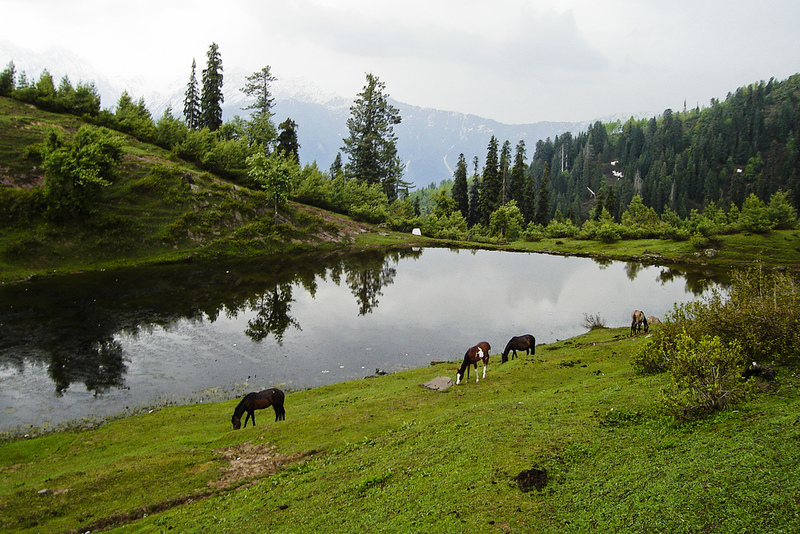 From Shogran, you can ride a jeep or horse or hike to several picturesque places like Siri,Paye and Makra Peak. Hotels and motels are easily available at affordable costs. Mobile phone services is also available there by Telenor and Mobilink. The local people are friendly and peaceful.